More great news for our customers, we have teamed up with Toolbank to bring you access to thousands of tools and products at discounted prices. Simply click on the logo to the left to start saving and shopping the easy way today. 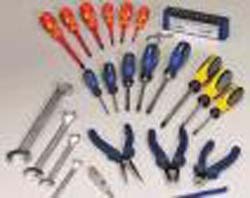 The main essential when tackling any job at work, home or in the garden is a good tool kit, as any tradesman will confirm, having the right tools for the job saves time and money in the long run. There are so many different brands you can choose from that buying tools can be a gamble due to variations in choice, price, quality, reliability, durability and suitability for the job at hand. Aimed at by passing these pitfalls, Beacon Trade sell quality products from scores of respected and recognised brands including Stanley, Irwin, Bulldog, Plasplug, Stabila, Estwing and many more. Our staff are fully trained and can assist to make it easy for you to find the right tools for the job, and we invite you to discuss your needs with us as part of the service that distinguishes us from other leading tool distribution companies. A copy of the GOOD TOOL GUIDE will be sent to you on your request. 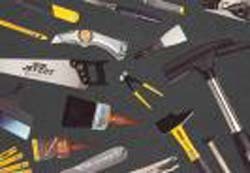 This catalogue has information and list prices of over 25,000 tools from more than 200 different brands. 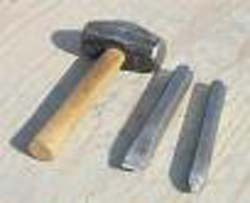 Make your selection and give us a call for a competitive price. All items will be despatched within 48 hours and delivered direct to your door.